An emergency worker peers inside a damaged car as the rescue operation continues. 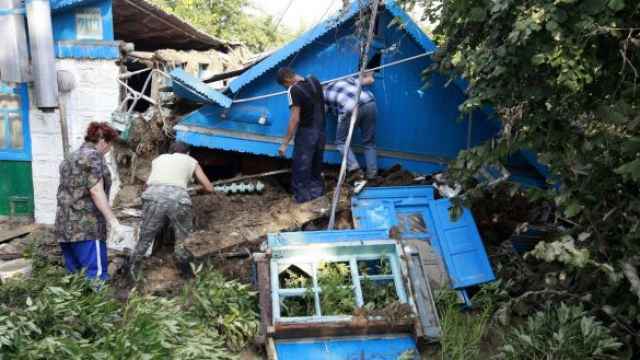 Authorities did not properly warn Krasnodar region residents of the threat posed by flash flooding that swamped the region, emergency officials admitted Monday, as the death toll from the disaster reached 171 people. "Efforts to warn the population were organized, but unfortunately comprehensive work was not carried out. Officials and heads of various services allowed mistakes. … Not all the population was warned in due time," Emergency Situations Minister Vladimir Puchkov told journalists, Interfax reported. The Krasnodar region administration said on its website that it had finished running a check into a local reservoir with local volunteers and disproved reports that water discharged from the reservoir had exacerbated the floods. "An overflow of water from the reservoir was technically impossible," the administration said in a statement. The floods began Friday night after the area received in a few hours rainfall equal to the average over a two-month period. As a result, rivers burst their banks, sending torrents of water through three Krasnodar region towns. 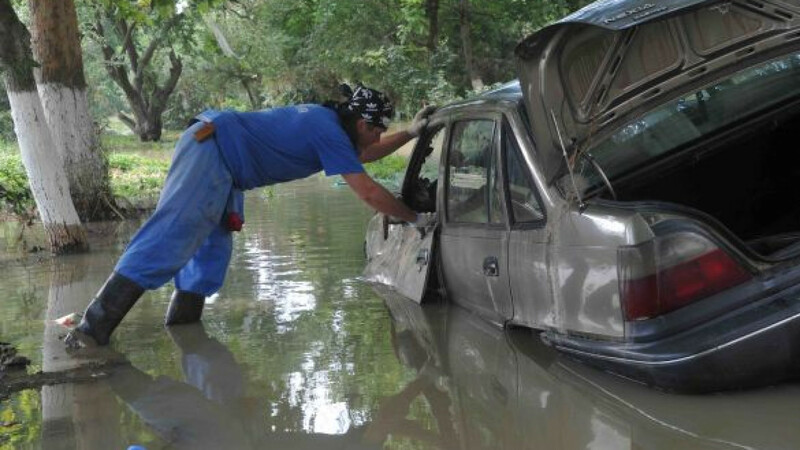 According to the latest Interior Ministry figures, 171 people died in the floods. Rescuers were still identifying bodies Monday. Crews are also searching for 17 missing people. Officials now believe that almost 35,000 people were affected by the natural disaster, the worst to strike the region in 70 years. In addition to the death toll, thousands of people's homes were wrecked as a result of the calamity. Several streets in Krymsk, the worst-affected town where close to 150 people died, remain flooded, RIA-Novosti reported Monday morning. After surveying the flood damage in a helicopter, President Vladimir Putin declared Monday a day of mourning to honor the Krasnodar dead. Officials were set to begin awarding compensation money to victims Monday, starting with a one-off 10,000 ruble ($300) payment. The remaining compensation will follow after the damage has been assessed, Interfax reported. Regional Governor Alexander Tkachyov has promised by winter to build new homes for those whose properties were swept away in the disaster.